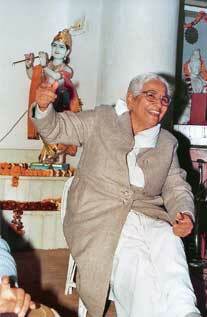 For decades, the Temple at Arpana reverberated with the Words of spiritual wisdom that emanated from Param Pujya Ma. Over the years, thousands of spiritual seekers asked questions on spirituality and practical life and received from her answers that took them towards the spiritual goal they sought. Several aspects of the Vedanta and the Truths of all religions were discussed at these sessions, clarifying the mystical Truths from all the Scriptures. 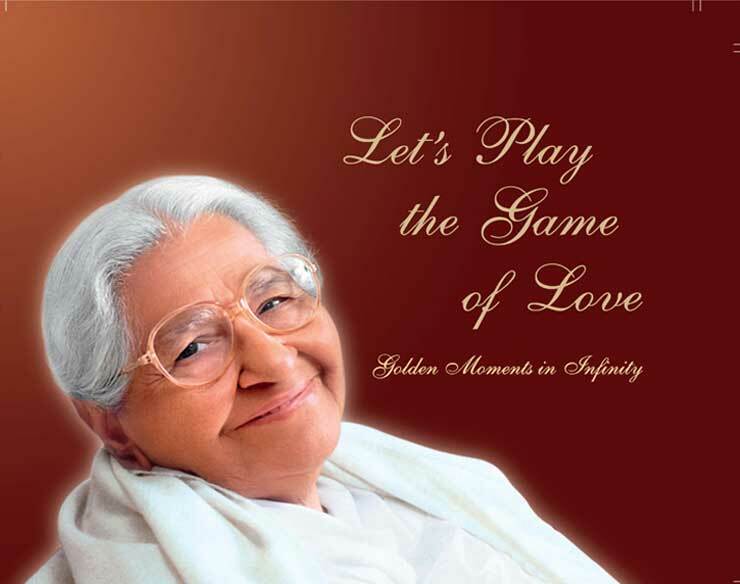 Pujya Chhote Ma’s discourses are based on ‘Urvashi,’ and she clarifies Param Pujya Ma’s elucidations further, for spiritual seekers and serious ‘students’ of Urvashi. Even today, Chhote Ma’s discourses continue in the temple every morning and evening as also in Delhi, Mumbai and other cities on request. 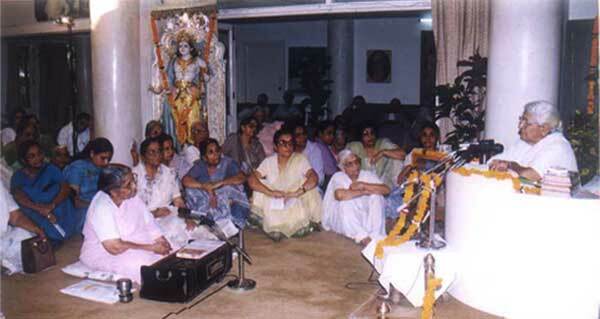 Often audio /video DVDs of Param Pujya Ma’s satsangs are played in the Temple for those thirsting to hear their Beloved Spiritual Mother. 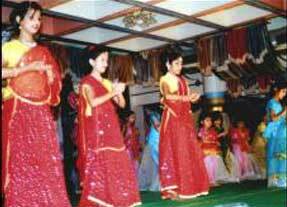 On festivals and special occasions, children from Arpana and from Urvashi Academy in neighbouring Karnal, perform little scenes from scriptural stories and embellish them with dance and song.